The end of the media empire’s US venture doesn’t bode well for American viewers—or for journalism. 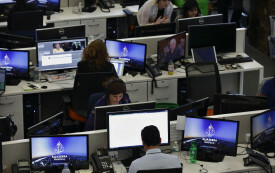 On Tuesday, we’ll find out if Al Jazeera America’s digital editorial staff will become the latest new media workers to unionize. A recent string of campaigns show that while unions at “legacy” newspapers are eroding, organizing still has a place in the digital space. Al Jazeera America to the Rescue? Eric with the latest reviews and Reed on Al Jazeera America. 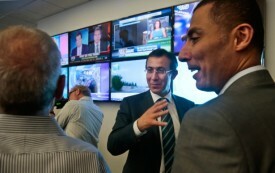 Can Al Jazeera America Save Cable News? The network wants to reshape the market. But first it must reach—and win over—its viewers.